Managing giant, remote workforces of on-demand, part-time, and full-time employees executing thousands of assignments across hundreds of locations can be challenging. With Natural Insight, you can streamline processes and focus on growing your business. With streamlined operations, enhanced coverage, increased accountability, and unprecedented transparency, deliver perfect field execution for all of your clients and win more contracts. Realize productivity gains and time efficiencies and centralize all project-related information, including scheduling, task management, and project completion as well as payroll and billing integrations. Building software is a full-time job. Let Natural Insight be your full-time solution provider and partner. We are always innovating best-in-class software to empower your workforce. Regularly benefit from industry driven-updates and new features at no additional cost. Search and filter your staff based on skillset, location, availability or performance. Distribute job opportunities to the best people, and track overall workforce performance. Save precious time by integrating your applicant tracking system and payroll solution, or connect with one of our world-class partners. With centralized communication, scheduling, and task management, your team can quickly deliver detailed instructions, including PDFs and videos, to workers in the field. Keep track of your progress and overview completion for all of your projects in a sleek, user-friendly field execution project dashboard. Using GPS-based routing, location verification, check-in and check-out, and visual verification features, you can verify that workers are in the field, that mileage reimbursement stays within budget, and that you deliver the best work to your clients. With our data capture features and drag-and-drop reporting system, collect field data and deliver searchable reports, photo libraries, and dashboards to your clients through a personalizable, branded platform. 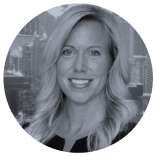 Lisa Ritchie, VP Talent, North America, Match Marketing Group.